Luton’s troubled Barnfield College has been handed an inadequate grading by Ofsted after inspectors found it had “no key strengths”. 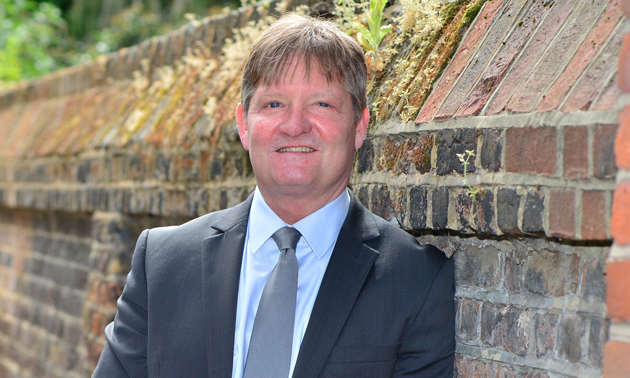 College governors’ board chair Robin Somerville described the damning result, published today, as “an unacceptable failure” and apologised to learners. The report, which comes a year after FE Commissioner Dr David Collins was sent in following a Skills Funding Agency (SFA) assessment of inadequate for financial control at the college, found success and completion rates were too low, teaching in English and maths was “poor” and self-assessment was “unrealistic”. The inspection, carried out on November 17, downgraded the college from a grade three, or requires improvement, rating issued in June 2012. But under the latest report’s provider strengths section, inspectors simply wrote “no key strengths”. Mr Somerville said the corporation “fully accepts” the education watchdog’s findings. “This is an unacceptable failure by a significant majority of the previous management, governors and teaching staff,” he said. It is the latest in a series of blows for the college, which is due to submit plans to the Department for Business, Innovation and Skills to split from the federation of academies built up under former leader Sir Peter Birkett (pictured below right) from 2007. Sir Peter was knighted for services to FE and the academy movement in 2012, but left the federation the following year having served as its founding director general. 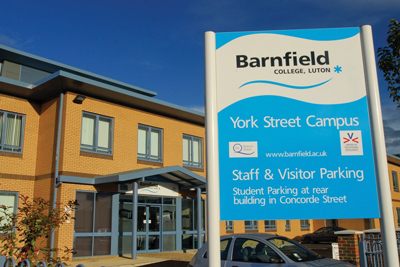 A government probe into Barnfield finances was later launched amid allegations including grade massaging. The Skills Funding Agency (SFA) and Education Funding Agency (EFA) both published critical findings of their investigations in February, with auditor KPMG having found the college had overclaimed more than £1m for provision which had never happened, leading to allegations of ghost learners. The investigations found a “lack of oversight” by the governing body and improper use of college funds for Sir Peter’s pay-off, which included two lump sums not in his original contract and an Audi Q5 company car. No criminal charges were pressed. Dr Collins recommended, in his findings published the following month, that at least half the governing body be replaced and revealed a “general feeling among all levels of the organisation that the college has been relatively neglected in the previous director general/CEO’s pursuit of attempting to grow the overall federation into a national business”. Dame Jackie Fisher, former boss of Newcastle College Group (NCG), was appointed principal the month before Dr Collins’ report, staying until November, when she was replaced by Monica Box, who is due to step down in March for Tim Eyton-Jones, currently principal of John Ruskin College, to take over. Mr Eyton-Jones also commented on the Ofsted blow, vowing to “work tirelessly” to “transform” the college with the promise of a management shake-up. “The college will shortly be seeking inspirational and aspirational colleagues to join a new and refreshed senior management team as part of the College’s re-structure,” he said. Dame Jackie declined to comment. At this rate, david collins will be looking after most of the colleges in the sector. What a sad indictment of the quality of leadership of the sector and this college in particular. Would love to know how much the dame cost and kpmg and all the other consultants. So, Robin Somerville, the present chair of Barnfield governors partly blames this atrocious inspection on the ‘previous teaching staff’. It was these very same staff that were in post in 2007 when the college achieved an ‘outstanding’ grade 1 but, as a result of the management’s ‘irregularity’ when it came to handing the college finances, ended up being made redundant. How could these teachers be held responsible for the present poor teaching and learning when they were not in post in November 2014 when the inspectors visited??? Dibsdall, Fisher and Box failed to grasp the reality of the problem and were clearly out of their depth. Somerville joins them.